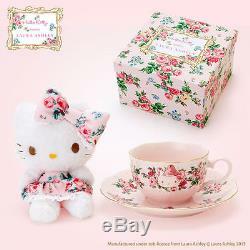 SANRIO Hello Kitty meets LAURA ASHLEY. 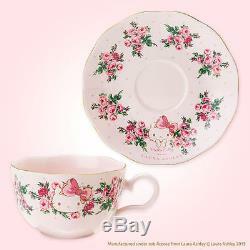 Mascot & Tea cup set Kawaii Cute NEW F/S. This is very good for gift. Box Size : about 33 x 26 x 21 cm. (1)EMS (tracked & insured)(5-7 days to USA) (2)Air (no tracked & no insured) (10-14 days to USA). We do not mark merchandise values below value or mark items as "gifts" - US and International government regulations prohibit such behavior. The item "SANRIO Hello Kitty meets LAURA ASHLEY Mascot & Tea cup set Kawaii Cute NEW F/S" is in sale since Tuesday, December 19, 2017. 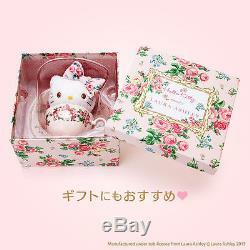 This item is in the category "Collectibles\Animation Art & Characters\Animation Characters\Hello Kitty". The seller is "comrejoice_jp" and is located in Okinawa. This item can be shipped worldwide.